We were all taught to take care of one another and to give a helping hand to those who are in need. By helping to create or improve a healthy home environment for Native Americans, Miracle House Foundation is working to better the lives of families or individuals who are in need. We believe everyone deserves to have a safe and happy home. 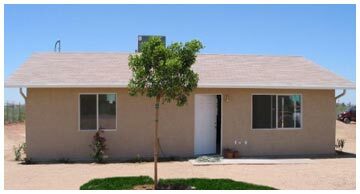 In 2007, Miracle House Foundation has been honored to work with the Salt River Pima-Maricopa Indian Community’s Housing Division and Senior Home Repair and Replacement Program. To date we have granted both programs a total of $32,000 to go towards the construction of new homes, basic home appliances, window treatments, and emergency services. Your generous contributions have made a difference in so many lives. Thank you for your support and the miracles you have helped to fulfill.